Then on October 26th, the inmate apparently spat on Thompson. Both guards then came back to Goldsmith’s cell and used force against the inmate. First, they placed a sheet covering the cell’s door, presumably to prevent him from spitting on them again. Then, Goldsmith allegedly told the inmate that it was “going to be a rough night for [him]” threatening the prisoner with the fact that the rest of the staff was leaving the building. The abuse escalated when Goldsmith, bearing a shield, and Thompson went into the cell that night, claiming that the inmate was not responding and had attempted to hurt himself. Reportedly, Goldsmith hit him with the shield, and both officers started punching him and kicking him. As a result of this physical violence, he suffered from injuries to his eyes, throat, back, hands, and rib cage. He was kneed, gouged, and restrained to the point of choking, and he had to receive medical treatment. In the written incident reports, Goldsmith and Thompson stated that they went into the cell to help the inmate who had attempted to hang himself and emphasized the fact that the inmate himself was violent, looking for a fight, taking a boxer’s stance. However, all this has been proven to be false as, on one hand, Thompson later admitted to detectives that his reporting was not true. Moreover, he now maintains that both officers have repeatedly punched and kneed the inmate. Goldsmith told investigators that before he entered the cell, he saw the inmate with it wrapped around his neck, so, he told Thompson that they should go and check what was going on. In spite of all the lies and the coming and going, he finally admitted to using excessive force against the unidentified inmate for no justifiable reason. 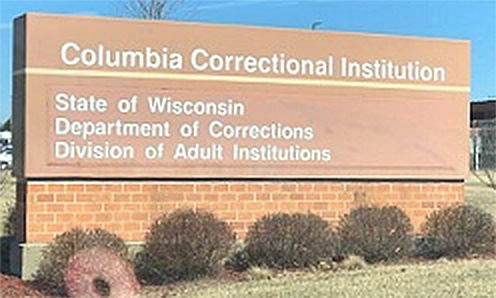 The official investigation started on October 30th, when the Department of Corrections asked the Sheriff’s Office to investigate a complaint coming from the maximum security prison in Portage. Sheriff Dennis Richards reported that, as the investigation is still a work in progress, additional charges and arrests might occur. Goldsmith’s next court appearance is set for January 7, 2019. If you or a loved one has been mistreated in prison we can help. We file federal civil rights lawsuits against correctional facilities to expose misconduct, medical neglect, and other atrocities. You may also be entitled to financial compensation. 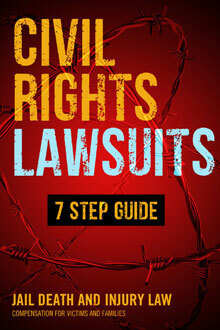 CALL US 866.836.4684 or Connect Online to learn your rights.